Imagine that you’re working full time, and in the middle of a 24-month MBA program that requires monthly out-of-state travel, your CEO challenges you to join him in becoming a certified nurse assistant as well. In 2011 and 2012, I was working as the chief innovation officer for a multistate, long-term care organization. Our CEO challenged the entire leadership team to become CNAs along with him. Several of us were simultaneously enrolled in a two-year executive MBA program with the University of Miami in Florida. During this time, we had six months to complete our CNA coursework plus the licensing test. Talk about an eye-opening experience. We took the course through a local university and learned our clinical skills at a campus health lab and a long-term care facility. We performed the multitude of tasks for residents under supervision. We read materials, watched videos, took quizzes and chapter tests, all without the benefits of technology. Not everyone passed the first time. Before joining the world of CNAs, I had a lot of respect for clinical teams. But after my training, I reached a whole new level of respect. Being a CNA was very difficult and the CNAs that I met during training demonstrated dedication to caring for vulnerable people. I saw people who truly loved and cared about the people in their charge. Yet, with so many dedicated people in the industry, why is there still so much turnover? I learned many lessons during that time, and a few of them I’ll share in upcoming blogs, including using technology to facilitate the learning process. But for now, I’d like to ask: Once we have CNAs, how do we keep them? I’d like to suggest that motivating team members starts at the top, with leaders as teachers. And as a leader, perhaps start looking for CNAs, inside your organization. What about developing multiple career pathways for all stakeholders and specializations? Develop your own clinical team with people who already know and respect your organization: people who already work for you. Whether they come from dietary, hospitality, facility maintenance, administrative or rehab personnel, you already have committed people. Help them find it within themselves to take the next step to enter the skilled nursing aspect of your work. Perhaps most challenging of all, but what could truly impact your organization is to become a licensed CNA yourself. Put yourself through the training and testing. This will dramatically increase your own empathy for caregivers and residents. When you experience firsthand what it takes to bathe a resident, or to feed someone who used to be a CEO of a large company, but who now can’t pick up a fork, you understand what your clinical staff feels and needs. Because it’s not just pay that CNAs need. Although I would suggest that increasing compensation for developing competencies and champion a focus on increasing wages for skills, will go a long way to helping with staff retention. It’s both recognition and pay that will help us turn around the astronomical turnover rates among certified nurse assistants. And knowing how they feel is a great start to starting the conversation. Are you up to the challenge of becoming a CNA yourself with your team to better understand your care experiences? How would your resident experience change if everyone in your facility and organization was a licensed caregiver? 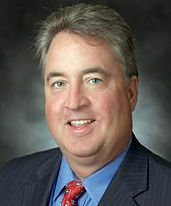 John P. Reinhart is president and co-founder of Academic Platforms and a trained CNA. John can be reached at john.reinhart@academicplatforms.com.